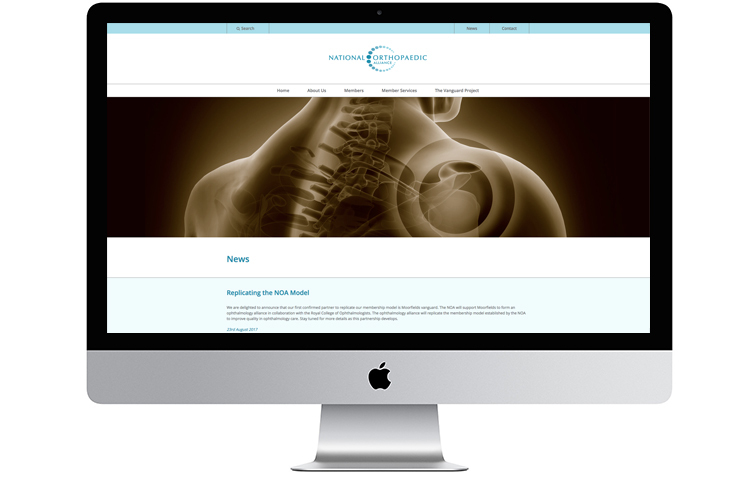 The National Orthopaedic Alliance website as viewed on a desktop iMac. Andrew Burdett Design are experts in design for the healthcare industry, having worked with numerous companies in this sector and also on a wide variety of projects for the NHS. Our design portfolio includes work on a wide variety of jobs, both print and web including, flyers, branding, displays, exhibition stands, brochures, catalogues, posters, newsletters and websites (to name but a few). We have worked on numerous projects for the NHS and were initially commissioned to work with Speciality Orthopaedic Alliance. In 2017 this became the National Orthopaedic Alliance (NOA), a coalition of hospitals and other providers which contributes significantly to raising the quality of care for orthopaedic for patients in the UK and Ireland. After the initial brief we created some static page designs and once approved developed a beta website for testing. 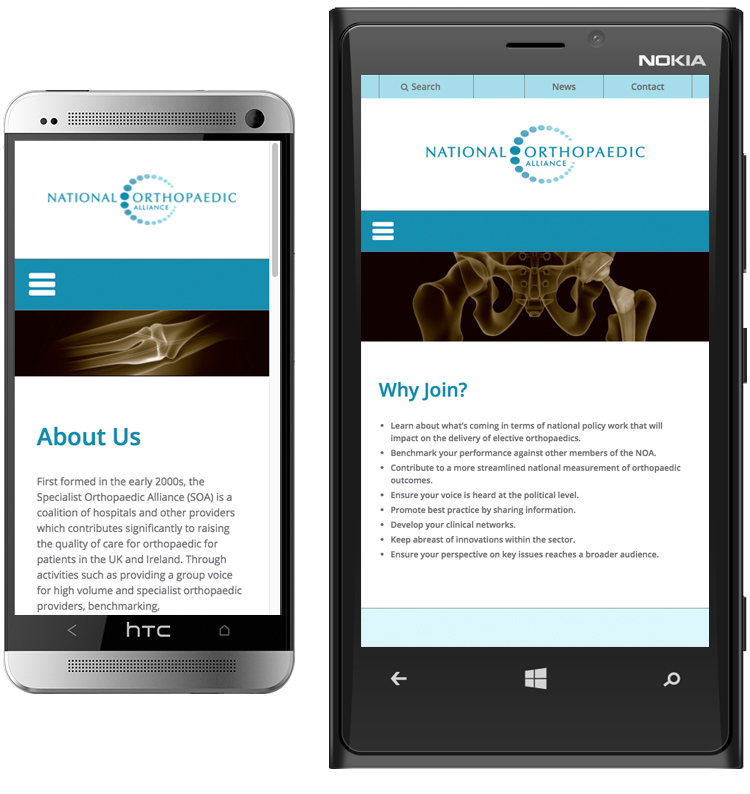 When the client was happy with this site, the new responsive / mobile friendly website was uploaded on the web. The site also has a content management built in, so the client can easily update the sites copy. Andrew Burdett Design are experts in responsive website design. We can design, build and host your website. We guarantee that it will not only look great, but will be future proof and search engine friendly. For a FREE quote or a chat, please call us on 01433 208307, we would love to hear from you.